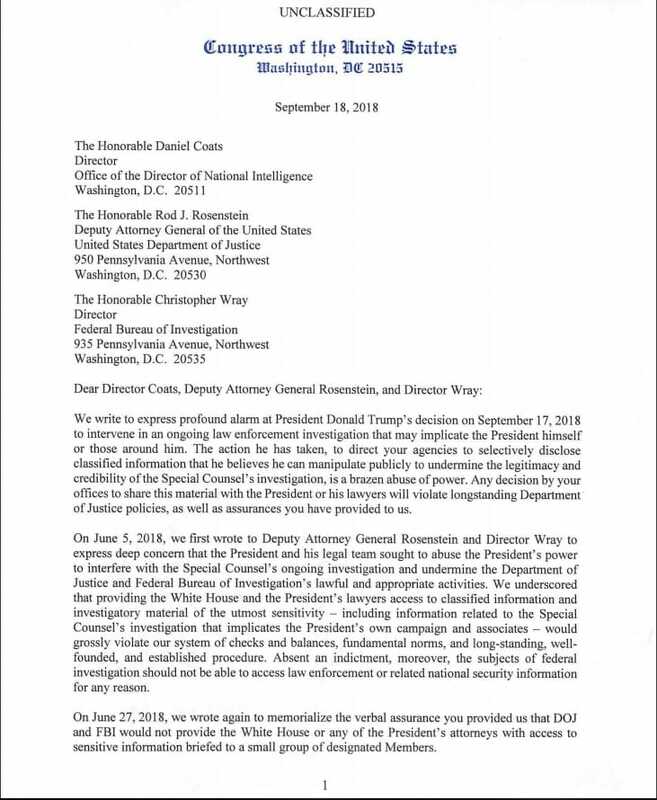 A letter from top-ranking Democrats was sent to Director of National Intelligence Dan Coats, Deputy Attorney General Rod Rosenstein, and FBI Director Christopher Wray. It was sent by Senate Minority Leader Chuck Schumer (D-NY), House Minority Leader Nancy Pelosi (D-CA), Rep. Adam Schiff (D-CA), and Sen. Mark Warner (D-VA). The contents are highly disturbing. 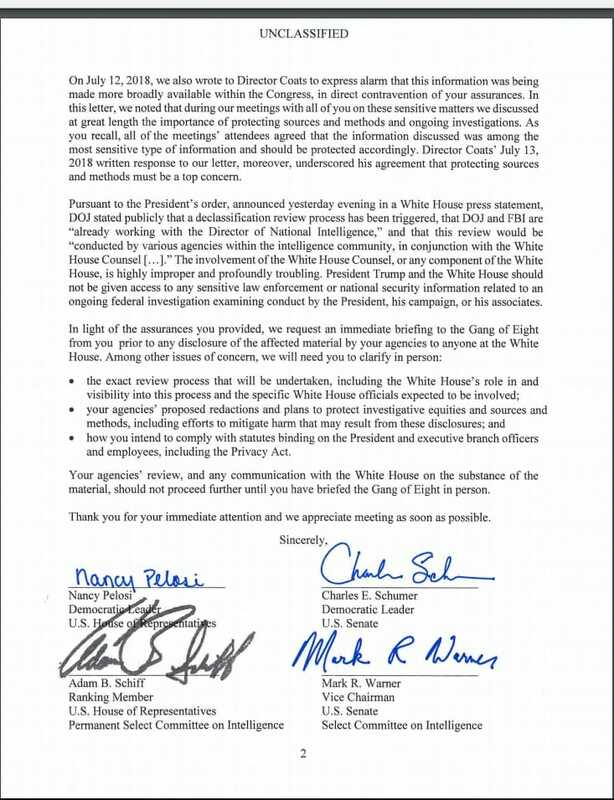 Dems demanded cabinet members withhold information from President Trump? Coats, Rosenstein, and Wray ALL AGREED to do this? To sum up, what exactly does the letter mean?